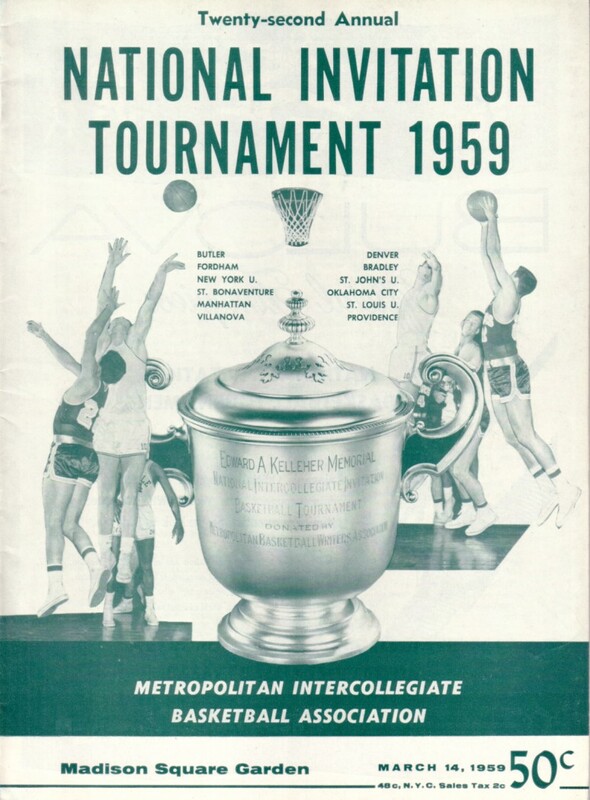 Original complete college basketball program from the 1959 National Invitation Tournament (NIT) quarterfinals played March 14, 1959 featuring Providence which was led by future Hall of Famer Len (Lenny) Wilkens. 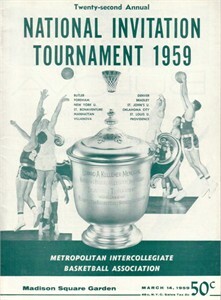 Providence eventually finished fourth in this tournament, which was the national championship in those days. Pristine condition with only very minor wear (scored in blue ballpoint pen). ONLY ONE AVAILABLE FOR SALE.